Anti-bacterial lockers are a reliable storage solution for aseptic and sanitary applications. 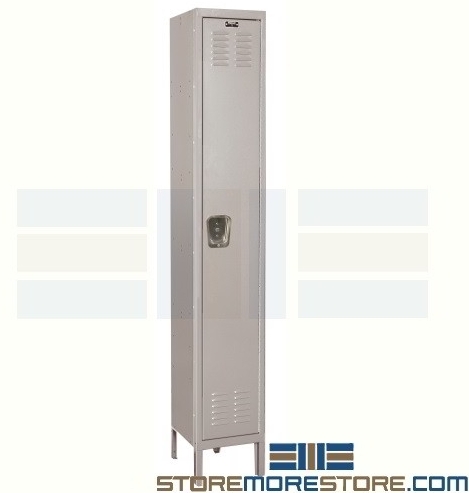 Because of a specially formulated antimicrobial powder coating, the lockers prevent the spread of bacteria, mold, yeast, and mildew for up to 20 years. To ensure the safety of patients and staff, most hospitals and emergency rooms are required to use antimicrobial lockers in sensitive areas such as surgical and clean rooms to prevent the spread of hospital-acquired infections. Even though hospital-acquired infections are unfortunately common, they are easy to prevent. But anti-bacterial lockers aren’t only for hospitals. After all, diseases can spread anywhere very quickly. Other applications can include nursing homes, schools, athletic facilities, gym locker rooms, and more. The antimicrobial finish prevents the spread of illnesses such as pink eye, the flu, or strep throat. This is especially critical for facilities with large numbers users or for users with underdeveloped or compromised immune systems (such as children and elderly people). 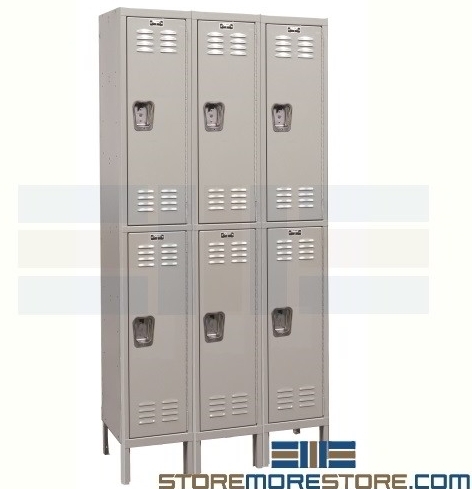 Lastly, the lockers provide a professional and clean appearance that is easy to maintain. Anti-bacterial lockers are available to buy online and ship in 4-5 business days (add 5 days for assembled). If you need any assistance or just want some help choosing which configuration is right for you, please call us at 1-855-786-7667.